A process essay is basically a how-to essay, where you're telling the reader how to get something done. The range of subjects, on which you can write a process essay, is wide from making a dish to manufacturing a product in the factory. 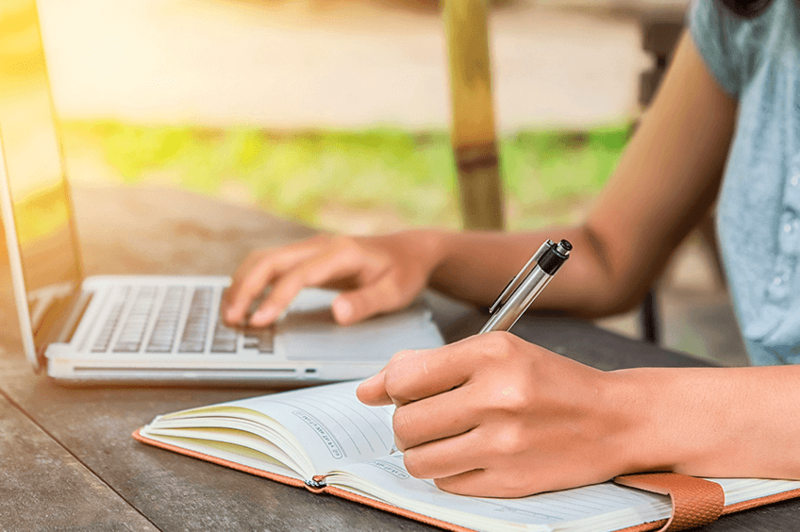 A brilliantly written process essay should guide your readers through the process that you're describing not too slowly or too quickly, giving them enough information to understand everything even if they're hearing about it for the first time. Let's examine the top 10 tips on how to write a process paper with excellence. Knowing your audience and how skilled they are in the subject that you're describing is crucial. This knowledge determines how detailed you should be about describing each element of the process and which part of the process you should absolutely necessary address. For instance, you want to describe how to make pasta Bolognese. First, you need to cover the basic stuff, like knowing when your pasta is done and needing a colander and only then move to what herbs are required for the sauce. If your readers will need certain components to finish the process, than you should list them. If while writing you will come across the item, which you haven't mentioned, then go back to that list and include it. Write each step down. It is necessary to write, not just to go through them in your head, because if you do only the latter, you can miss something important. You should estimate the length of the process or time of your performance. Most of your readers want to know how long it takes to complete the whole process, so it will be useful to include it. Don't dive into the task right away, but give some space for introductions. In case with pasta, you can provide some background information on the history of the dish. Alternatively, you can explain that it's a quick and tasty meal and therefore should be tried by everyone. Make sure that you have smooth transitions between different stages of the process. For instance if you end the introduction with the phrase "it will take you 40 minutes to finish the dish", then you should continue with a sentence like "follow the 5 steps below to complete it!" To make transitions inside the body paragraphs, use words like "next", "then" or "now". Use your outline to lead your readers through the process step-by-step. Group steps in paragraphs and make sure that they are grouped logically. You can try grouping steps by idea or chronologically. You can also group the steps by beginning steps, middle steps and finishing steps. Just remember that you shouldn't overwhelm your readers with long paragraphs. Keep them limited to 100-150 words. Writing a process essay requires going into details sometimes. Giving detailed descriptions is necessary for something new or complicated. If you're not sure if there's something that readers won't understand in your essay, give it to your friends and relatives and ask their opinion. Give your readers an idea of what they should get in the end. Help them visualize it and get a better understanding of it. Maybe they will also need a special guidance about what to do with it. Especially if we're not talking about food! In the end of your essay, write a conclusion and restate why the process that you have described is important and why your readers should bother going through it. After you have finished writing, check your essay for grammatical, spelling and punctuation errors and also make sure that it has a proper structure and flow of ideas. Do you have a feeling that even a novice can go through the process, which you have described? If your answer is 'yes', then you have done everything right. Now you know how to write a process paper! Also, check out some process essay topics here and more usefull writing tips here!